Attention deficit hyperactivity disorder (ADHD) can be treated by the drug Ritalin, which stimulates the brain to encourage alertness and focus. Used in a child with ADHD, Ritalin promotes longer periods of concentration, more control over restlessness and hyperactivity and makes the child feel calmer and more in control. However, many parents worry about their child having to take medication over long periods of time and welcome alternatives. One therapy that has created a great deal of interest is EEG biofeedback. This does not involve drug treatment, or any invasive therapy, nor is it a form of counselling or psychological help. 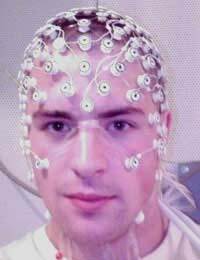 If electrodes are placed on anyone's scalp and connected to an electroencephalogram (EEG), the brain waves being produced by brain activity can be seen on a monitor. We all produce different types of brain wave when we are awake compared to when we are asleep and researchers have noticed that the brain waves of people with ADHD are very specific. By using a device that allows the child or adult with ADHD to see the brain waves being produced at any given time, it is possible to encourage them to take control of their brain wave patterns. It is possible to observe the brain wave patterns and then to change them so that the brain produces waves associated with being focused and alert. What is the Evidence that EEG Biofeedback Works? Quite a few scientific studies have looked at this and the balance of evidence suggests that it does have a positive effect. One advantage of the treatment is that it is safe and doesn’t have any side effects. It may work better in some people than in others, but it does none of them any harm. Children who have used EEG Biofeedback seem to be able to sleep better after treatment and have fewer headaches. Although they generally felt better, behavioural problems and school work tended not to improve very much, so this form of therapy could perhaps be used in combination with special teaching or psychotherapy. How Do the Brain Waves Change? Children and adults with ADHD have slower wave brain activity, particularly in the areas of the brain in the frontal lobe that are responsible for concentration. These slow waves usually only arise during sleep, or in the phase between sleep and waking. In this state, the brain of someone with ADHD is not fully aroused, but the body is left to over-react, leading to a lack of attention and hyperactivity combined. By looking at the brain waves and actively focusing their mind, people with ADHD can see their brain waves change to more active, faster waves that are present during normal activities. The more focused and concentrated they are, the better results they get with their brain waves. In this way, someone with ADHD can link up how they feel with the waves that show what their brain is doing. They can train themselves to concentrate to push the brain into a higher state of arousal, producing even better concentration as time goes on. One patented system that has been developed on the basis of EEG biofeedback control is called the Play Attention system. This involves wearing a helmet, a bit like one worn for a 3-D reality computer game. The helmet picks up the brain waves but, instead of sending them to an EEG machine, it sends them to a computer that is playing a specially designed game. There is no controller or joystick to interact with the game – positive changes can only be made by producing the right kind of brain wave. This appears to be a really good way of getting children with ADHD to control their brain wave patterns and to push them into formats that help reduce their ADHD symptoms. If the child can focus their brainwaves into the more active form, the game will play; if their brain waves remain slow paced and they make no effort to be alert, the game freezes. All children play well with computer games and enjoy doing so – which makes treating ADHD something that they want to do rather than have to do.